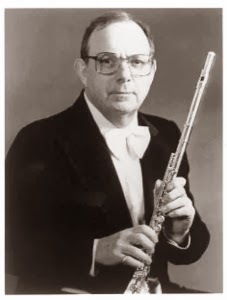 Bernard Z. Goldberg, former principal flutist of the Pittsburgh Symphony Orchestra, is recognized as one of the world’s leading performers and teachers of the instrument. Among others, he has studied with George Barrere, Marcel Moyse, and Pablo Casals. Graduating from Julliard at the age of 19, he joined the Cleveland Orchestra, and became their principal flutist at age of 21. Two years later he accepted the position of principal flute with the Pittsburgh Symphony Orchestra, and New York Lincoln Center “Mostly Mozart Festival” chose him as principal flute. Throughout his tenure, he played all three Mozart concertos in Avery Fisher Hall. He has performed under conductors Fritz Reiner, William Steinberg, Pablo Casals, Andre Previn, Lorin Maazel, Enrich Leinsdorf, Victor de Sabata, Paul Paray and many more. Mr. Goldberg has toured extensively as a recitalist and with the Musica Viva Trio. He has given numerous recitals in New York, most notably at Carnegie Hall and the Metropolitan Museum of Arts. Among his recordings are releases with the Musica Viva Trio, the Audubon Quartet, the Pittsburgh Symphony Orchestra and the Casals Festival. Mr Goldberg is a member of the faculty of the Brooklyn College Conservatory in New York and has served as guest conductor for many orchestras around the world. Goldberg’s determination and hard work propelled him to a highly successful teaching and performing career. His teaching techniques were acquired through experience and by observing great artists making music. He inspires many students through his playing, teaching philosophies and dedication. “I was 12 years old when I heard Mr. Goldberg for the first time. It was at The Casals Festival in Puerto Rico, and he was playing with the Pittsburgh Symphony Orchestra. This was an amazing experience to watch and listen to him perform. He was able to project across the orchestra or blend perfectly with any instrument. When I was 19, I went to study with him at Brooklyn College for my Master’s degree. I remember the first lesson; I wanted to impress him so badly. I played the first movement of the Ibert Concerto. When I finished he looked at me and said ‘Do you know that playing the flute is easy?’ We looked at each other and laughed. From that lesson on, I learned not only music making but how music is built and the traditions that are behind it. One of my favorite stories from my lessons with Goldberg (that I always share with my students) involved an Altes Etude he has asked me to learn. Mr. Goldberg studied the Altes Etudes with George Barrere, who in turn studied with Altes himself. As a result, Mr. Goldberg knows Altes Etudes inside and out (in fact, he will play the second flute part by memory with his students). One week I was studying very hard for my Masters degree exams and didn’t devote enough time to truly learn the etude. So, I planned to leave my book at home and try to get through the lesson without playing it. My lesson started as usual with Taffanel and Gaubert scales and thirds. Then Mr. Goldberg smiled and asked for the Altes Etude. I went to my bag and began looking through it – with concern on my face. I turned and said to him “I forgot my book at home -- I was practicing and forgot to bring it.” Mr. Goldberg looked at me very sternly and said ‘Play it by memory.’ I remember looking at him with shock on my face, and nervously, I started playing the first 4 measures. All of a sudden, Altes became a new composition. I stopped, and he said to me ‘Next time when you practice so much – memorize it!’ I learned my lesson and always remember that experience with a smile. I was always impressed by how he coped with such a busy schedule traveling from Pittsburgh to New York every week. During my three years of study with him he never cancelled a lesson and never was late. He was always full of energy and gave 100% of his attention to all students in their lessons. Mr. Goldberg’s expertise in performing the music of J.S. Bach is very unique. He studied with Diran Alexanian one of the world’s foremost experts on Bach’s music. During my lessons, I learned many aspects of phrasing and tone color possibilities. He was able to teach music in even the simplest of melodies. I watched him teach a master class on the 24 Little Melodies book and by the end everybody in the room was in love with the book. 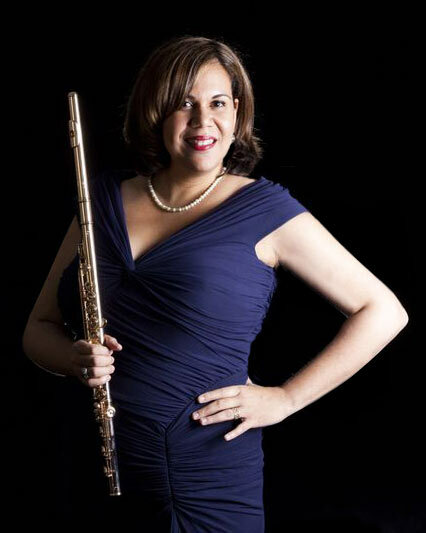 The younger generations of flutists don’t necessarily know these types of books and Goldberg and others are doing a great job of bringing these treasures to life. Bernard Z. Goldberg is currently on faculty at the Brooklyn College Conservatory and maintains a private studio as well as an active masterclass schedule. Since his retirement from the Pittsburgh Symphony in 1993, he has served as flute coach for the Asian Youth Orchestra and spent eight years as Conductor and Musical Director of the McKeesport PA Symphony (1993-2001). He loves to read and always is learning new music and scores.